…but were too afraid to ask! We asked Karyn Stevely from Schuh, Luke Talbot from Azzurri and Nigel Thomas from Vee24 to answer your questions about using video in the contact centre. What percentage of contact centres currently use video chat? It is still a very small number, with only 1–2% of contact centres currently operating with video. However, it is a technology that the general public seems to want so that percentage is likely to increase over time – Luke. How do you have to arrange the work space for customer service representatives to deliver the best quality of video chat? Schuh doesn’t have a separate room for handling video. The agents taking video calls sit right alongside agents taking phone calls or dealing with web chat. The main thing you need to worry about is keeping an eye on agents wearing colours which may drain the colour from their faces (i.e. white or black). But other than that, using video is quite simple and you don’t need a lot of space to make it happen – Karyn. 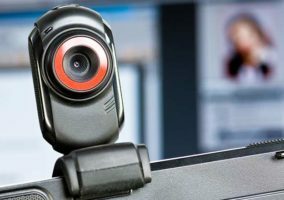 How are companies managing compliance and interaction recording on video technologies? Similarly to phone calls, companies handling sensitive customer data via video chat need to be able to record interactions in order to be PCI compliant. The technology does exist for such recordings to be made; however, it is best to double-check that your chosen solution is armed with this capability prior to purchase – Nigel. What are the main benefits for the consumer in using video chat over web chat? While web chat is cheaper to operate, partly because of agents being able to handle more than one customer interaction at any given time, there are benefits of offering video chat instead. For example, video chat allows companies to re-create the in-store experience without forcing their customers to visit the actual branch during standard opening times. This results in a convenient service for the customer, as they are able to receive the service they expect at a time and place that suits them – Luke. How do you go about evaluating quality monitoring? There is a reporting module that can be attached to the software which enables each engagement to be scored after it has taken place. These results can be compiled into league tables to highlight anyone performing above or below average. This information can then be used to identify training needs – Nigel. Do you offer a complaints line over video chat? Not specifically, although our customers are able to complain via any channel – Karyn. If you were to offer a complaints line over video chat, I’d expect that it would take a far less aggressive form, as customers will be able to make eye contact with a real person, and not just shout at a disembodied voice – Luke. Is there a customer satisfaction difference? We find that customer satisfaction on video chat is far higher than that of any other channel. Video is also still new enough that by using it you are automatically exceeding your customer’s expectations – Karyn. Do you have to make changes to the way you recruit people in to the contact centre? Video chat tends to lend itself more to sales than problem solving, and has therefore altered the traditional call centre skill set. While we don’t recruit our agents any differently at Schuh, we have changed the way we train them to take this skills migration into account – Karyn. How do you do training and on-boarding for video agents? Can you remotely monitor their video chats? Managers can listen in and watch a video call in the same way that they can monitor a phone call. During training, we also connect with our agents via another machine to test their video chat skills (i.e. screen navigation and body language) – Karyn. As the technology is relatively new to consumers, are there many issues with customers not being able to use the mic on their pc or tablet etc.? The main issue is that there are times when someone may not want to talk directly to their PC (i.e. at work). In such instances, the customer can choose a one-way video call or web chat experience, while still opting in to the co-browser – Nigel. From the adverts, it seems as though all video chat operators are young, good-looking people. Are these the standards that you set for your video chat agents? That isn’t the case at all. The only requirement is that agents are well-presented when handling video calls, in the same way as they’d be expected to appear if they worked in a retail shop – Karyn. Do staff tend to feel isolated? Almost the opposite. Video chat agents sit right next to their fellow agents taking phone calls and emails, and enjoy the social atmosphere as they help our customers – Karyn. From a technology perspective, what is the typical investment needed to launch video chat? Assuming that your company already has standard hardware in place, i.e. a collection of PCs, you should expect to spend around £600 on the specialist hardware for video chat. Once all this is in place, it is just the cost of the cloud-based software licences that you will need to take into account – Nigel. 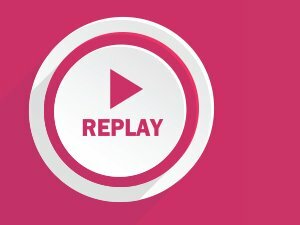 Is video just for resolving technical queries? Video can be used in just about any industry from retail to banking. It can also have profound benefits in certain sectors. For example, insurance companies spend a lot of money training their agents to detect if a customer might be lying, and with visual cues this job could be made even easier – Luke. What is the average handling time for video chat? We don’t worry about average handling time. Whether it takes 5 minutes or 20 minutes to resolve a query, our priority is always helping our customers – Karyn. How do you request feedback from the customer? Once a phone call has ended, customers can be passed through to an IVR in order to record their feedback. In a similar way, the video-chat customer is presented with a feedback form after the session, usually asking for a simple 1-5 star rating – Luke. Which organisations have you seen in UK/Europe using Google Helpouts and Google Hangouts for real-time video customer support? Solutions such as Google Helpouts and Skype are great for personal use. However, the ability to work on every browser and download reports is important for a video solution, and you tend to find that these sorts of solutions aren’t really suitable for a large-scale operation – Nigel. Do you have to train agents on body language? Definitely! It is very important that you cover all bases when training agents to use video chat, as they have to be able to speak to a customer as though it is a real-life face-to-face conversation – Karyn. What happens when you put a customer on hold? When an agent puts a customer on hold, a photo of the agent appears saying I’m away and will be back in a few minutes – Karyn. 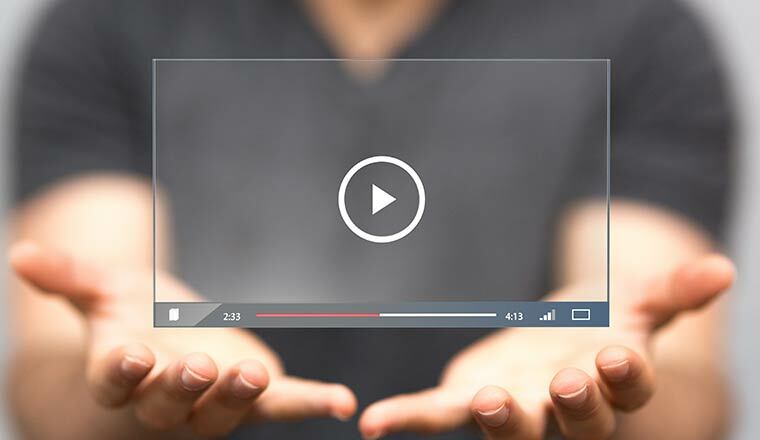 You could let your customers watch advertising videos while they are waiting, and this could also help with specific product marketing and branding. Or you could use it as another source of income by advertising non-competitor related products, e.g. events – Keith. Are you using video chat in your contact centre? It is true that video conferencing market is growing as many companies nowadays, are using combined web + video conferencing tools such as WebEx, gomeetnow, gotomeeting, R-HUB web video conferencing servers etc.